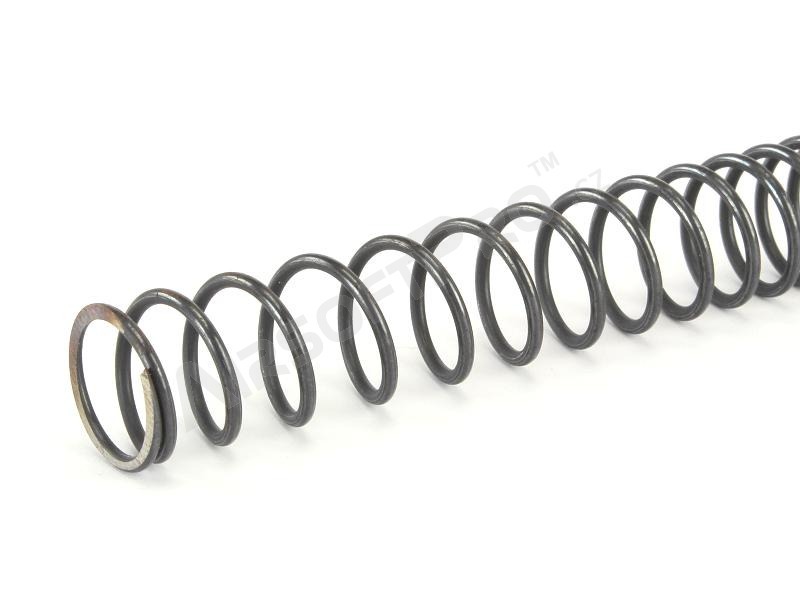 Upgrade spring for Elelctric guns (AEG). 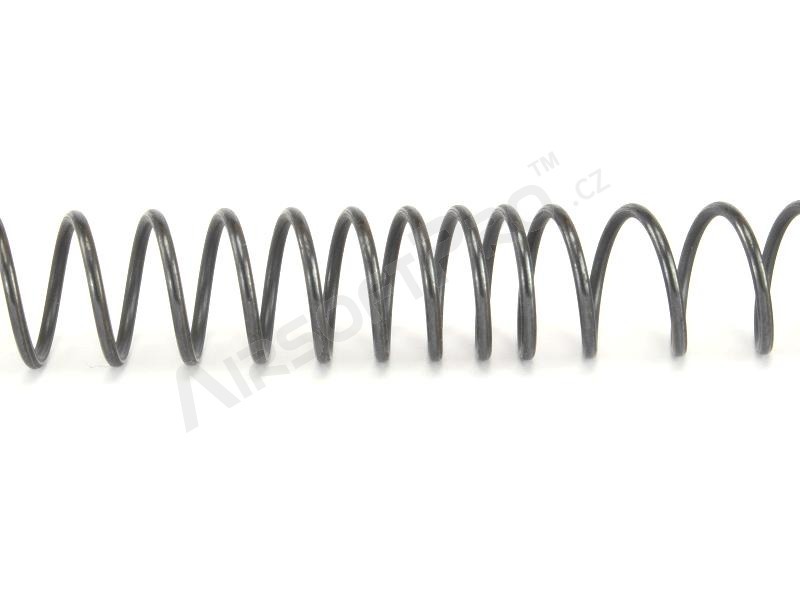 Springs are all "perfect" variable pitch, giving light compression and fast return. Some springs use a different "variable pitch", but that's just connect the some different pitchs.Those are difficult to compress and do not give the desired power. PDI uses silicon chrome steel to make the springs. Also, PDI can finely adjust the pitch using thissteel, so we can offer different power levels. PDI's Springs don't shrink! Generally,spring will shrink from 15mm to 20mm.We can control under 13mm-5mm. Japanese manufacturers use the designation of the spring in the percent. 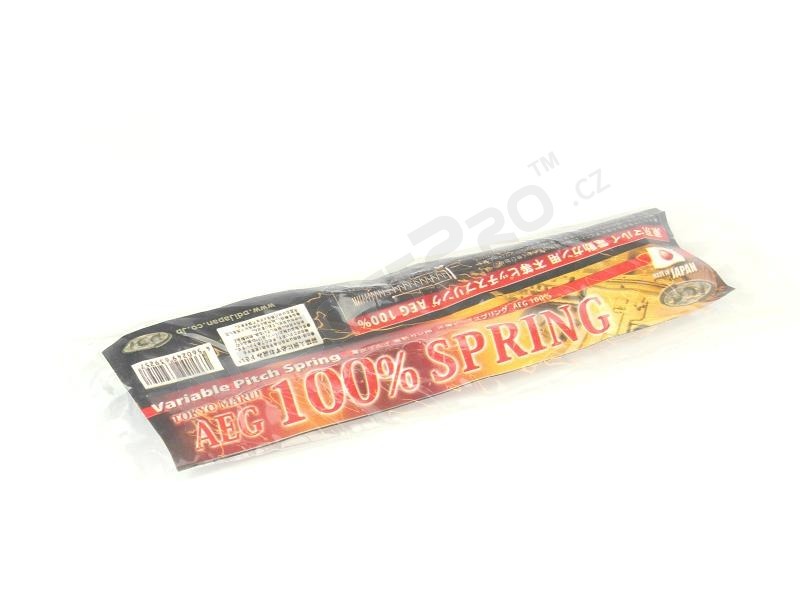 The spring 100% has energy 0,8 J with 0,20g - it is cca 90m/s.